Gotta get them young, y’all. 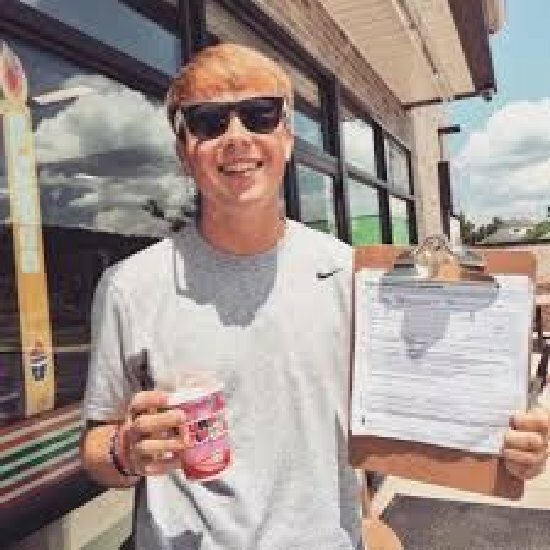 Andrew Spieles, a student at James Madison University and apparently “Lead Organizer” for HarrisonburgVOTES (which oddly is no longer online), got nailed registering 19 dead Virginians to vote for Hillary Clinton. Registering a deceased WWII veteran is what got him caught by a local clerk who knew the man… that move brought Spieles down. What a disgrace. Should look good on his resume to become governor or president one day though. It’s worked very well for other Democrats. Spieles confessed to fraudulently re-registering 19 people who no longer have a pulse and have been long buried and gone. Typical Democratic strategy and it is happening all over the nation. This kid just got caught. As the HarrisonburgVOTES webpage pointed out (before deletion), the sole goal of the organization was to raise the number of registered voters in Harrisonburg to 25,000…though it’s unclear now what percentage of that goal was intended to be filled by zombie voters. If I were the FBI, I would look really deep into the voter registration there in Virginia. Just sayin’. Just yesterday we wrote about an FBI investigation into potential voter fraud in the critical swing state of Virginia after it was revealed that 19 dead people had recently been re-registered to vote (see “FBI Investigating More Dead People Voting In The Key Swing State Of Virginia“). While theWashington Post caught wind of the investigation, it was not known who was behind the operation…until now. 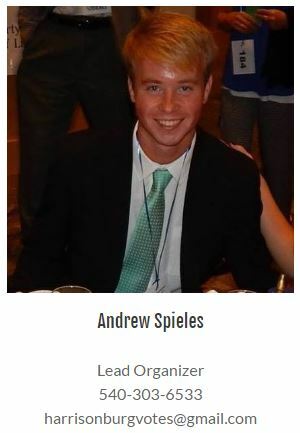 Meet, Andrew Spieles, a student at James Madison University, and apparently “Lead Organizer” forHarrisonburgVOTES. According to the Daily News-Record, Spieles confessed to re-registering 19 deceased Virginians to vote in the 2016 election cycle. While this should come as a surprise to precisely 0 people, Spieles just happens to be Democratwho, accorded to a deleted FaceBook post, apparently recently ran for Caucus Chair of the Virginia Young Democrats. HarrisonburgVOTES was originally founded by Joseph Fitzgerald who, “shockingly,” is also a prominent Democrat in Harrisonburg. Fitzgerald is currently Chairman of the Sixth Congressional District Democratic Committee in Virginia and the former Mayor of Harrisonburg. I detect a pattern here. Fitzgerald was quick to throw Spieles under the political bus. He claimed they knew nothing about the fraud and Spieles was fired immediately after it was disclosed. Right. We so believe you. That’s why the site is gone, etc. This is a shocking development that should surprise exactly no one.